The painter J.E.H. 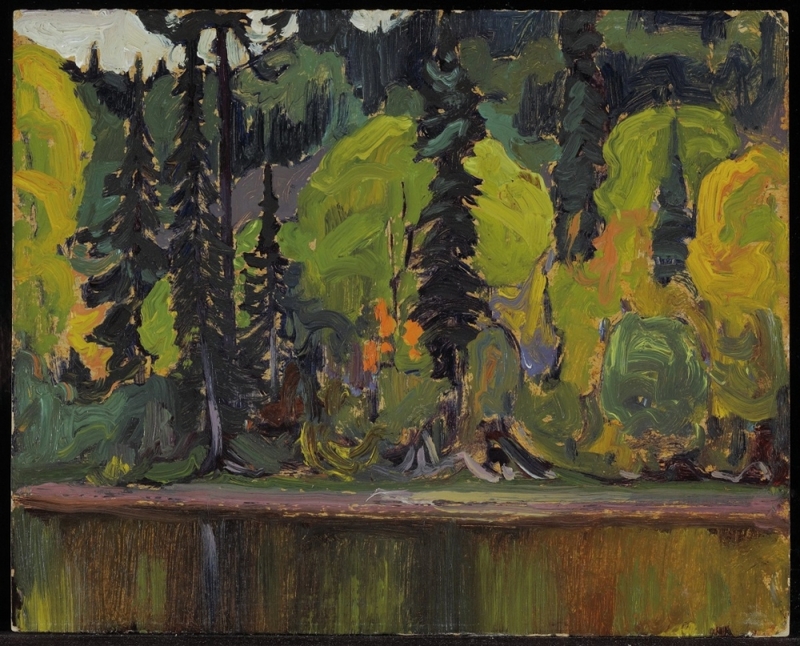 (James Edward Hervey) MacDonald, a founding member of the Group of Seven, responded to the Canadian landscape with a sensitivity honed by his interest in the American writers Henry David Thoreau and Walt Whitman. One of Canada's leading graphic designers and a popular art teacher, MacDonald was also a poet and calligrapher. His design work was strongly influenced by Arts and Crafts designers in England and Canada, especially William Morris. The son of a cabinetmaker, MacDonald immigrated with his family to Hamilton, Ontario, in 1887. After apprenticing with a Toronto lithography company at the age of sixteen, he worked in commercial design for Grip Printing and Publishing Co. from around 1895 to 1903, at Carlton Studio in London from 1903 to 1907, and again at Grip Ltd. from 1907. MacDonald resigned in 1912 to paint full-time, but worked as a freelance designer until 1921. While an apprentice, MacDonald studied art under John Ireland and Arthur Heming at the Hamilton School of Art, and with G.A. Reid and William Cruikshank at the Central Ontario School of Art and Design (now the Ontario College of Art and Design). He was active in the Arts and Letters Club, Toronto, and was a member of the Ontario Society of Artists and the Royal Canadian Academy of Arts. 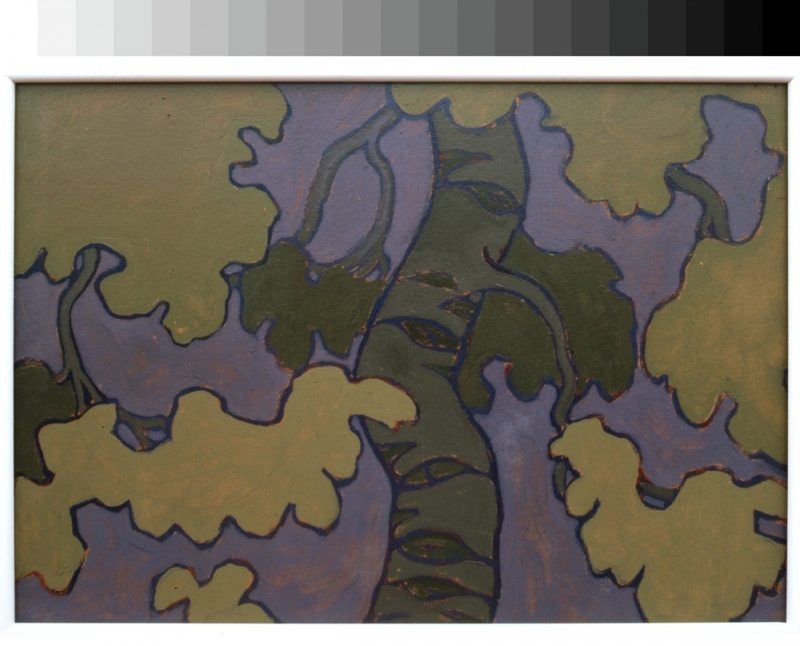 MacDonald painted decorations for Dr. James MacCallum's cottage in Georgian Bay (1915) and St. Anne's Church, Toronto (1923). 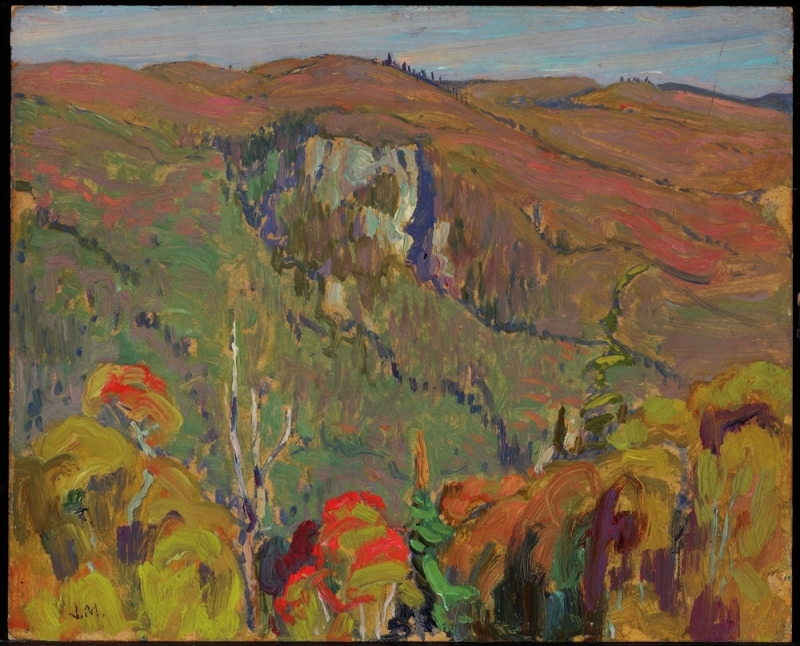 He worked up his paintings from sketches made on trips to Georgian Bay, northern Ontario, Algoma (1919 to 1922), and in the Rockies (1924 to 1930). From 1921 he taught at the Ontario College of Art, becoming Principal in 1929. MacDonald visited Barbados with his wife early in 1932 to recover from a stroke he had suffered the previous November.